Film strip from Jonas Mekas’s He Stands in a Desert Counting the Seconds of His Life, 1985, 16 mm, color, sound, 150 minutes. Annette Michelson. WHAT COMES WITH VERY OLD AGE, Annette Michelson often told me, is a necessary pragmatismand being pragmatic, she’d add with a wry smile, was never something that interested her. For almost thirty years, Annette had intended to publish a collection of her writings on film, but there always seemed to be a more compelling project vying for her attention. Sometimes it was her own: She was researching Ivan Pavlov and Mechanics of the Brain, the 1926 documentary Vsevolod Pudovkin made on the physiologist’s experiments, for a new essay until just a few months before her death. Sometimes she was occupied with the work of others: compiling a volume of essays on Hollis Frampton, or editing translations of Sergei Tret’iakov for October. She often felt that there was simply so much more for her to read, to discuss, to devour, that by returning to her own old texts and theories she risked slowing down the intensity with which she consumed information. And perhaps those new, ever more pressing projects allowed her to postpone coming to terms with the multiplicity of her own scholarship, the subjects of which spanned cave paintings to Stanley Kubrick’s 2001: A Space Odyssey. At age ninety, however, she recognized that pragmatism was required of her, and she decided to devote her time to publishing the collection once and for all. I was brought in to help, having worked closely with her at October several years before. It soon became clear that one volume would not be enough to contain all that she’d written. The first, On the Eve of the Future: Select Writings on Film (2016), focuses mainly on New American Cinema of the 1960s and ’70s; the second, which is forthcoming, gathers her essential work on Sergei Eisenstein and Dziga Vertov. Annette’s motivation to republish these texts was more than an urge to secure her legacy or assert her primacy (although, looking at her body of work, it is astounding how often she was the first to write about now-canonized artists and subjects: Robert Morris and phenomenology, Marcel Duchamp and psychoanalysis). 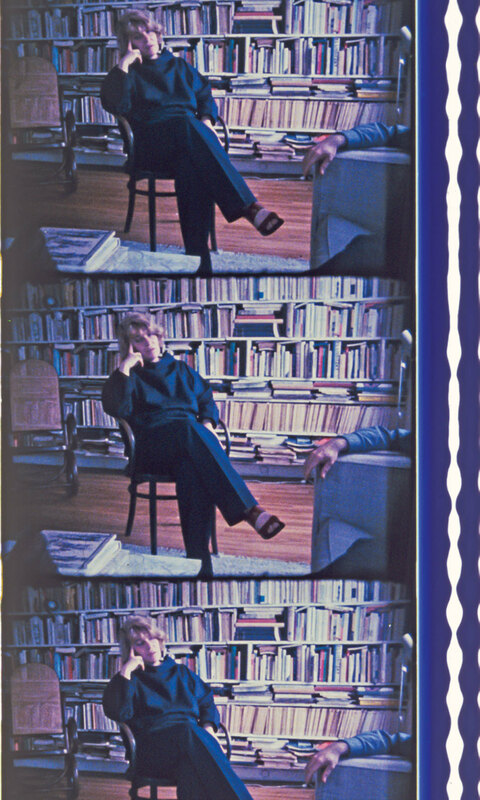 These collections were also her response to the renewed interest in mid-twentieth-century independent filmmakers on the part of a younger generation of scholars, as well as to what she saw as a timidity in current criticism. For Annette, the stakes were always substantial, involving philosophical and political inquiries as much as aesthetic ones. For Annette, the stakes were always substantial, involving philosophical and political inquiries as much as aesthetic ones. When we were together, we talked about art, politics, and her past, but more often we talked about words: how some offered great pleasure, how others lapsed into jargon (“phenomenological”) or retained a seductive precision (“hypnagogia”). We argued about commas and footnotesAnnette found the overannotating in academic writing repellent, yet another sign of professionalization at the expense of engagement. We also argued over how to clarify her dense prose, which sometimes proceeded via exhilaratingly oblique moves. In a single essay, Annette could effortlessly maneuver among Edison (“the Faust of industrial capitalism . . . le Papa du phonographe”); the blason du corps, a High Renaissance form, in which poets glorified the fragmented female body; and Étienne Bonnot de Condillac’s 1754 Treatise on Sensations (“sense is sensibility. To feel is to think”). She was as proud of her own writing as she was fiercely critical of it. There were times when it was clear to me how uncomfortable it was for her to reread certain passages: My, didn’t that sound grand? she would whisper. Recognizing her mortality meant, in part, letting go of some of the revisions she’d always intended to make, and removing some of the many Post-its that decorated the manuscript pages with her comments. It also meant facing her limitations, both physical and temporal, though at some point I realized that resistance to the realities of time and the body had always been her principal subject. Annette wrote again and again about the ways film gave both maker and viewer moments of escape through freeze-frame, slow motion, fast-forward, and reverse-action. 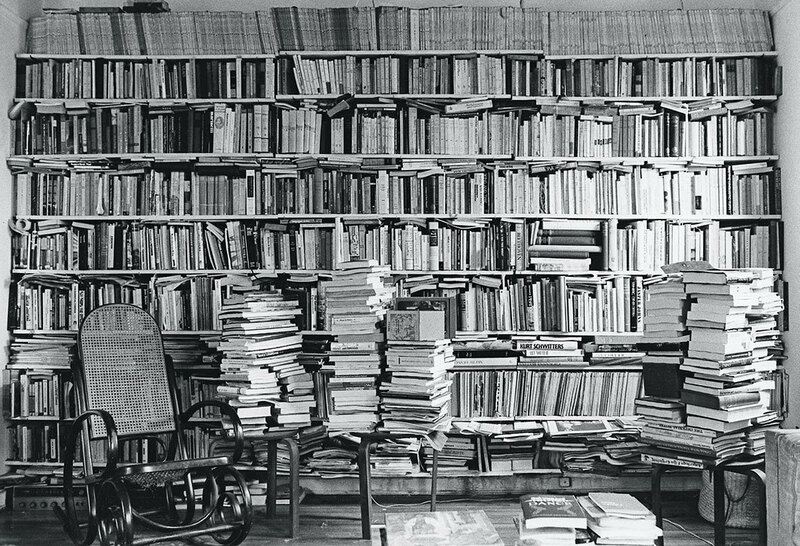 Annette Michelson’s bookshelves, New York, 1976. Photo: Babette Mangolte. Until the last few months of her life, I never saw Annette without a book or a newspaper open in front of her. For years, I would knock on her office door and she would look up, surprised to see me even though I had arrived at the appointed time, then carefully mark her place and set her reading material aside. Her desk was a site of controlled chaos. Yellowing issues of the New York Review of Books and the London Review of Books were stacked high alongside mailers and manuscripts and books that might include a catalogue of pre-Columbian jewelry from the Metropolitan Museum of Art, a biography of Bruno Bettelheim, a volume of Paul Celan’s poems, or Eisenstein on Paper: Graphic Works by the Master of Film (2017), by her friend Naum Kleiman. Annette filed away clipped reviews and articles inside the volumes to which they referred, tucking them behind the covers or haphazardly inside the pages. Even after she had dispersed the bulk of her library, and her shelves no longer buckled and her coffee tables were no longer as burdened as they had been in Babette Mangolte’s iconic photograph of Annette’s Upper West Side apartment, she remained surrounded by books. 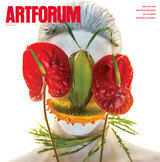 The essays and reviews she wrote for Artforum, and in particular the special issue on film she edited for the magazine; the founding of October with Rosalind Krauss, and the steering of that journal for forty years; the introduction to American audiences of Georges Bataille, André Leroi-Gourhan, Maurice Merleau-Ponty, Gilles Deleuze, and others through her essential translations; her robust and rigorous analysis and championing of filmmakers from Stan Brakhage to Maya Deren to Yvonne Rainer to Michael Snow: These are but a few of Annette’s academic legacies. Another, equally important contribution stems from her dedication to the power of art and her affirmative understanding of what criticism can do. She once noted in an interview that “extensive reading, a life-long proclivity, was essential” for her work. But it was more than that: Reading was, to borrow a line from Edward Said, “fundamentally, an act of perhaps modest human emancipation and enlightenment that changes and enhances one’s knowledge for purposes other than reductiveness, cynicism, or fruitless standing aside.” I will remain grateful to Annette for reminding us how much there is left to learn, and how well our time is spent attending to it. Rachel Churner is a New York-based art critic and a founder of No Place Press.